After visiting Y&R advertising agency on Monday, I was yet again reassured that I made the right choice switching from a career in Communications to a career in Art History. 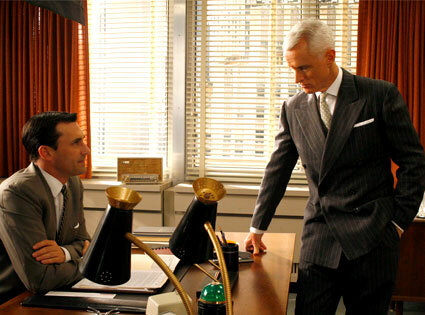 Granted, the advertising agency was very different from what I had assumed it was like from the show Mad Men, but I still cannot imagine spending my day thinking about how to sell people things they probably don’t need. I think the psychology behind what helps something sell is interesting, but it’s just not for me. Also, from the readings, I have learned that advertising requires spending a great deal of money without knowing that the tactic will actually work. This just seems like a waste to me. It also says a lot about the industry that 69% of people expressed that they would be interested in a way to block advertisements. They annoy people, why would I want to spend my life doing something that people are trying to get rid of? For example, here’s an example of a link that lets people block advertisements while they surf the web: http://adblockplus.org/en/. I am much happier in my day-to-day life working at Pace Prints. I love learning about how the gallery operates and about how contemporary art can be incorporated into everyday life. All and all, I feel like a career in advertising is “Close but no cigar” for me.